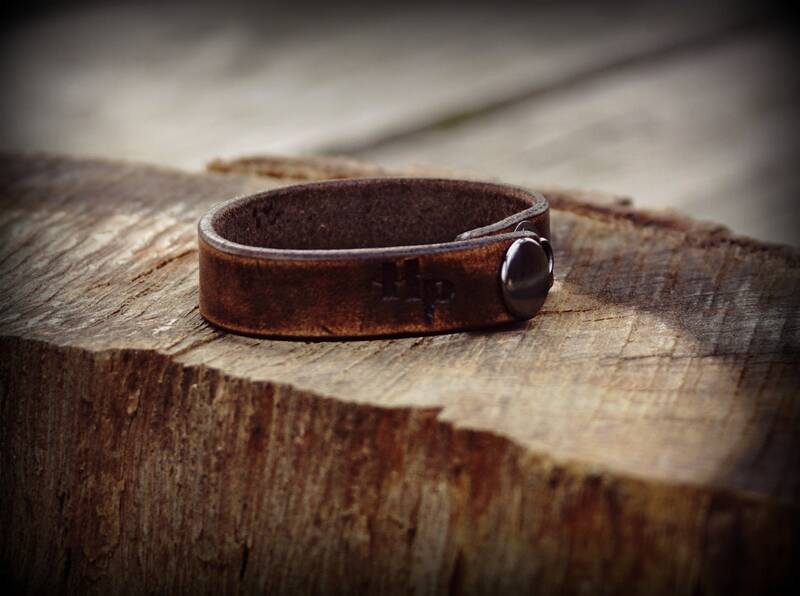 Laser engraved and cut from 7 ounce premium cowhide leather. Hand dyed, oiled, finished and distressed for a vintage look. 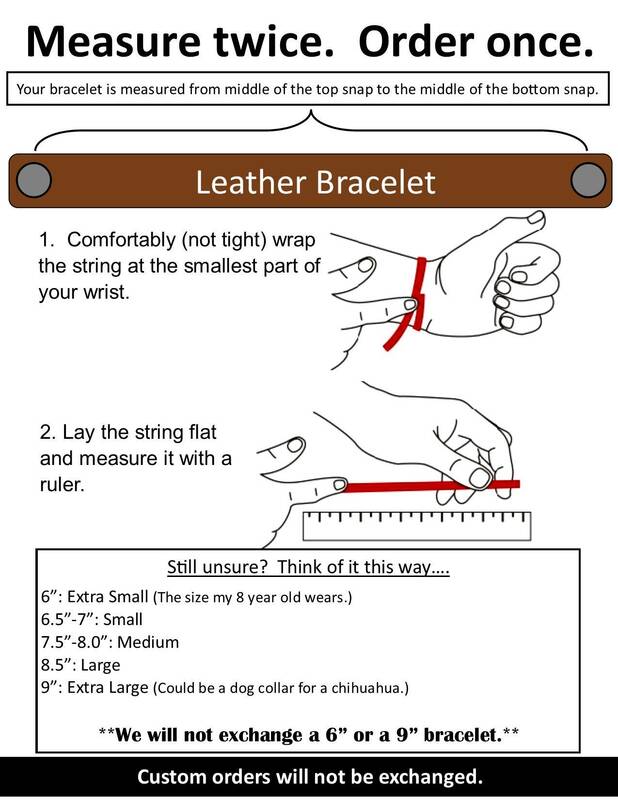 Measures .5 inches in width. 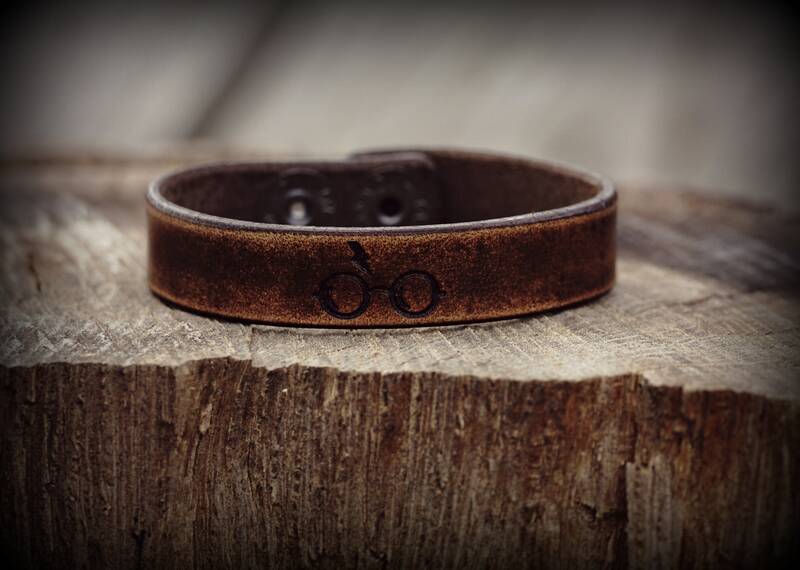 The bracelet comes with the HP logo glasses and lightning bolt. Custom engraving is not available.